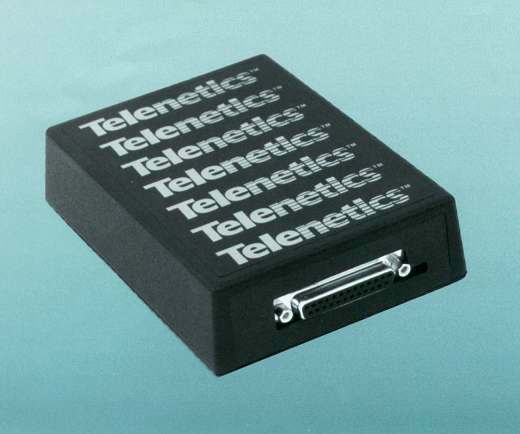 The Telenetics MIU 202T modem can be powered from a wide range of AC and DC voltages, is surge protected on both the power and telephone lines and will operate in extreme heat and cold. Ideal for both point-to-point and multi-drop applications over leased lines and private lines. Bell 202T continues to be the standard of choice in many utility and industrial applications. The Telenetics MIU202T can be powered from a wide range of AC and DC voltages, is surge protected on both the power and telephone lines and will operate in extreme heat and cold. Ideal for both point-to-point and multi-drop applications over leased lines and private lines. For Meters, RTUs, SCADA, etc. The MIU202T and MIUPowerPort202T are a Bell Standard 202T modem designed for asynchronous operation at 0 to 1800bps with C2 line conditioning, or 0 to 1200bps on unconditioned lines. With the flip of a switch, the 202T can be configured for V.23 applications if required. The modem is intended for use on leased lines and private lines and provides half duplex communications on 2-wire lines, or full duplex communications on 4-wire lines. Most modem manufacturers have abandoned Bell 202 in favor of the much higher speed modulations preferred in dial-up systems. However, Bell 202 remains the standard of choice in many utility and industrial applications where relatively small amounts of data are to be transmitted point-to-point or in multidrop networks. The MIU202T version can be powered from any AC or DC voltage in the range 9V to 220V AC/DC The MIUPowerPort202T has 9 to 12V power supply. The 202T is designed to work in extended temperatures ranging from -40oC to +85oC, and is surge protected to 8kV, double the voltage requirements of IEC801-4 Standard. All of this is bundled in a 5-3/8" x 4" x 1-3/8" package, suitable for desktop or wall mounting. Rack mount cards are also available.